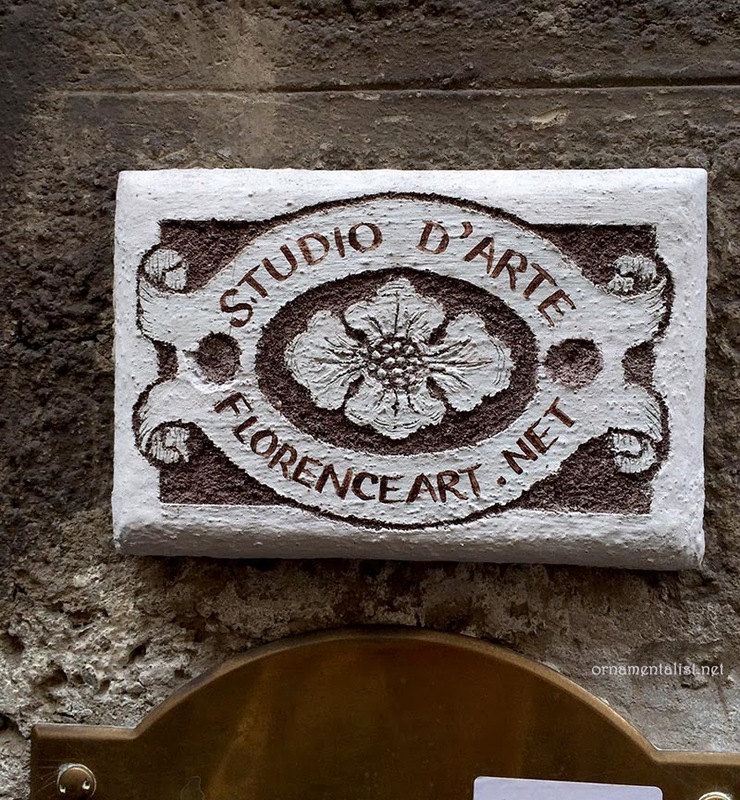 My good friend and collaborator Alison Woolley has a lovely studio here in Florence, and my first order of business after settling in to our apartment was to visit FlorenceArt.net Studio d’Arte and get a look at the harpsichord she just finished ornamenting, a prestigious commission for the L'Opéra Royal de Versailles. 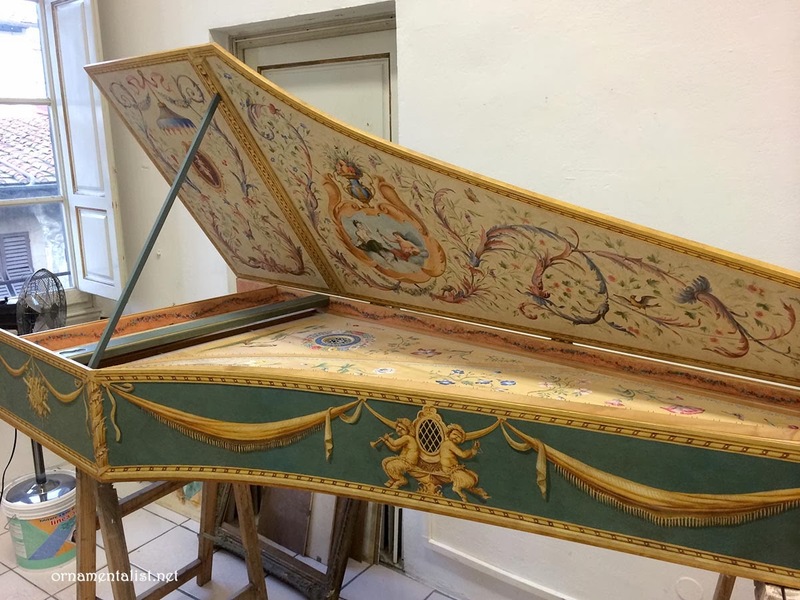 The "Ruckers Taskin" style harpsichord was built by Atelier Marc Ducornet in Paris, and shipped to Florence for Alison to decorate. The design of the piece was inspired by the architecture and ornament in the Château de Versailles. 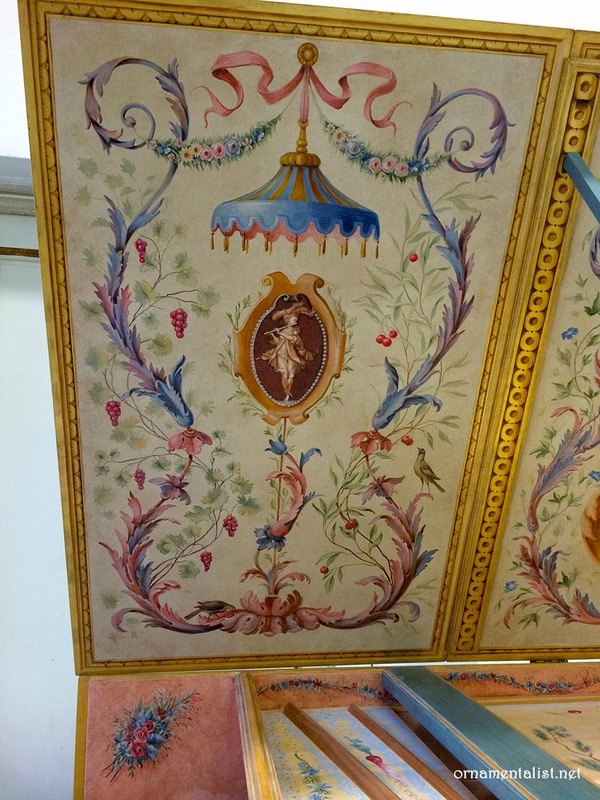 Yesterday Erling and I went to the studio to help pack the finished harpsichord and then the shipper came and took it away to Paris and we all felt a bit sad to see it go, particularly Alison who had been working on this for months. I know I feel a bit blue when I send off a mural from my studio and all of a sudden it seems terribly blank and quiet. Fortunately another harpsichord will be arriving in Alison's studio soon. 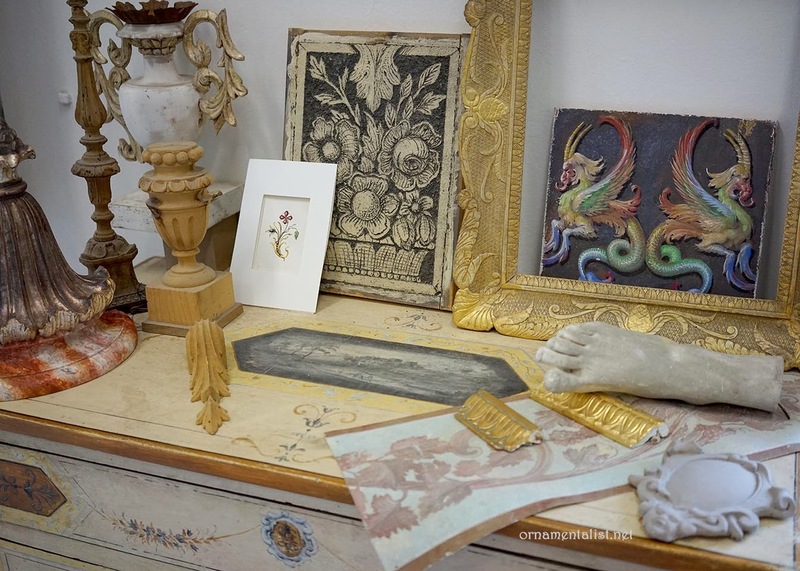 Elsewhere in the studio are examples of designs, class projects, experiments, Florentine style painted furniture, and a beautiful (top secret) design for a scarf for Salvatore Ferragamo. 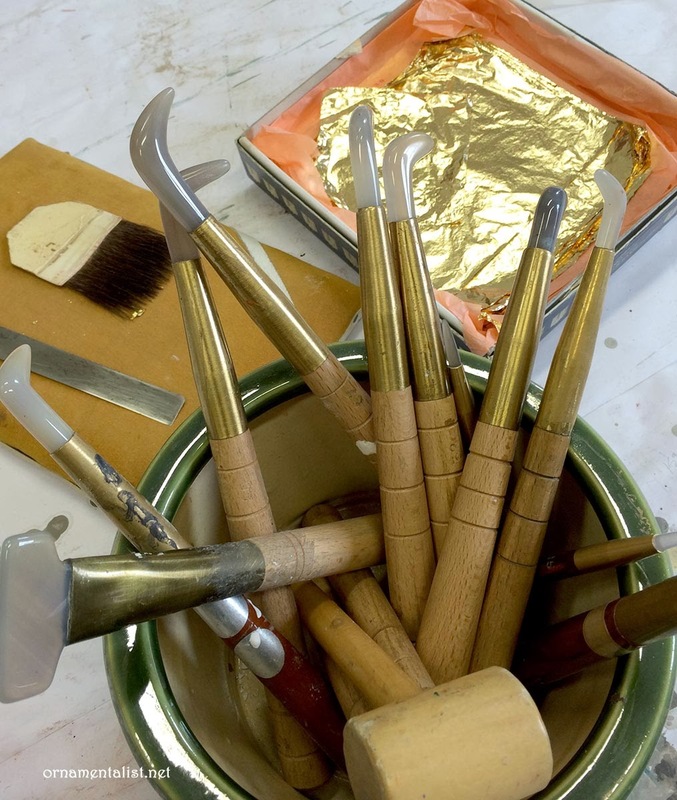 Alison regularly teaches classes in the tradtional Florentine techniques of gilding and painting furniture and other fine surfaces at the FlorenceArt.net studio as well as through special retreats in Italy and intensive workshops. The studio accepts commissions year-round for furniture, instruments, murals, and seriously beautiful things. 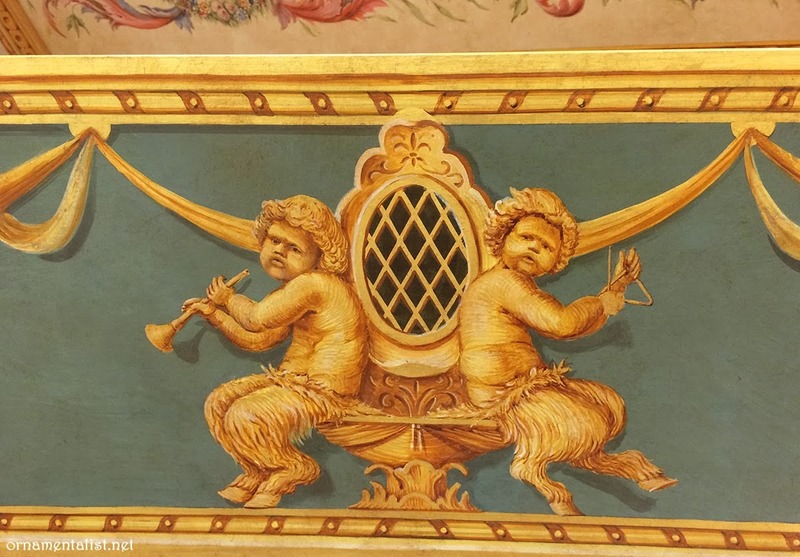 Watch this video of another recent project by Alison Woolley: painting a Claviorganum. How I envy your being in Florence, one of my favorite places! I enjoyed seeing Allison Woolley's work and viewing the video. 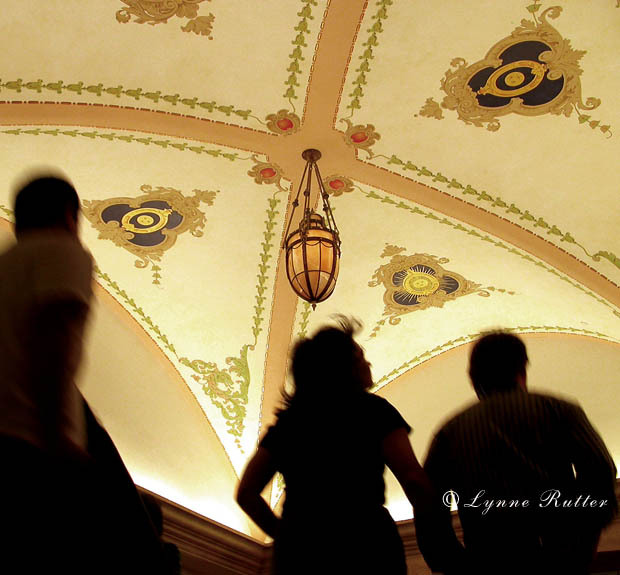 I have particulalry enjoyed studying the detail of the lid above — beautiful! The harpsichord is STUNNING! Wow, simply amazingly beautiful. 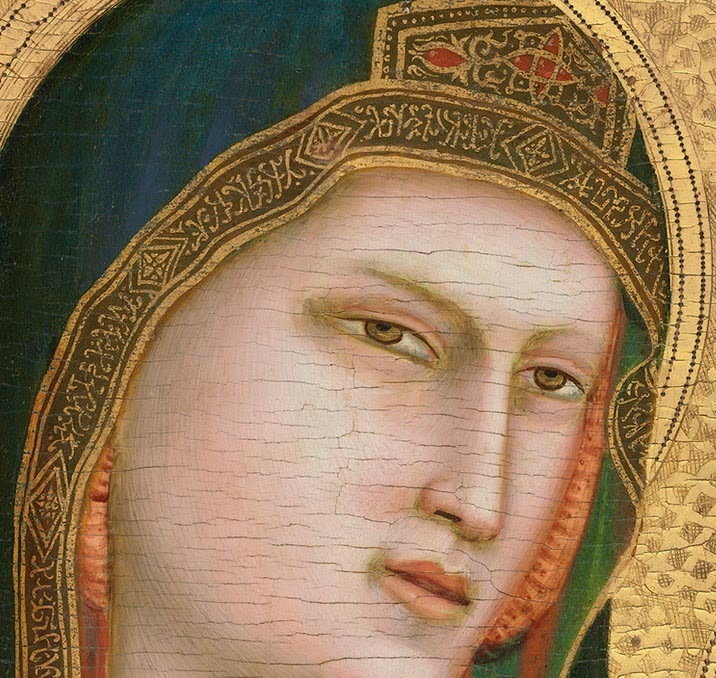 I am very much enjoying your blog!